Umami is the fifth taste sense (sweet, sour, salty, bitter) and is provided by mushrooms. This recipe uses store bought or fresh foraged mushrooms. I was so fortunate to find some fresh oyster mushrooms on my afternoon walk that I went right home and made these meatballs! I dried the remaining mushrooms to use later. When dried, they are easy to reconstitute with water to add to gravy, soup, a sauce or an omelet. This recipe can easily be doubled for a family or batch cooking for freezer meals for later in the week. Benefits: I always advocate for using grass fed and finished ground beef. The extra cost is worth knowing that the cows were raised humanely and in a healthy environment. This beef also has a better fatty acid profile and is grown without antibiotics or growth hormones. I watch for it to be on sale at Sprouts Market or pick it up at the farmer’s market. A friend recently told me that she found grass fed and finished ground beef at Walmart. Preheat oven to 400 degrees. Line a baking tray with foil. Spray a wire rack with non-stick spray and set inside the baking tray, set aside. Combine all ingredients in a large bowl. Using your hands mix all the ingredients together until well combined. 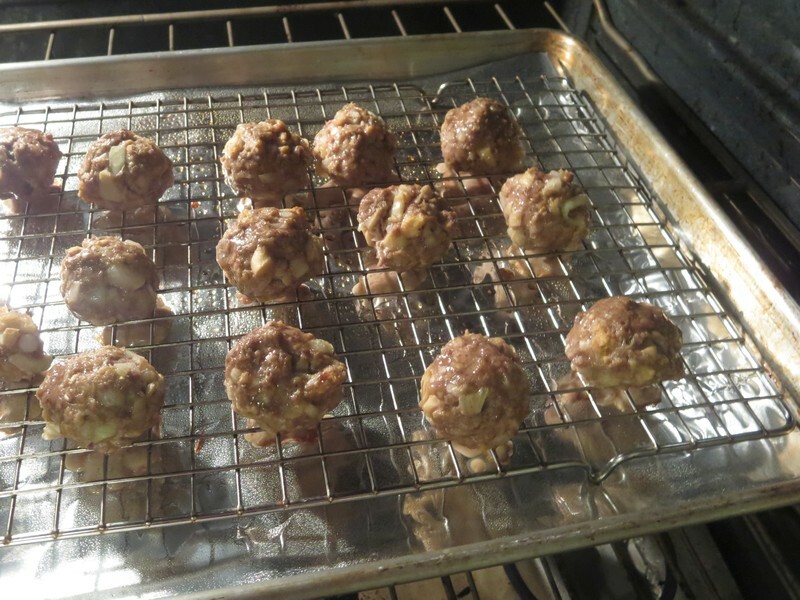 Form into 1-inch balls and place on cooling rack in pan. Bake for 15-20 minutes until no pink remains. 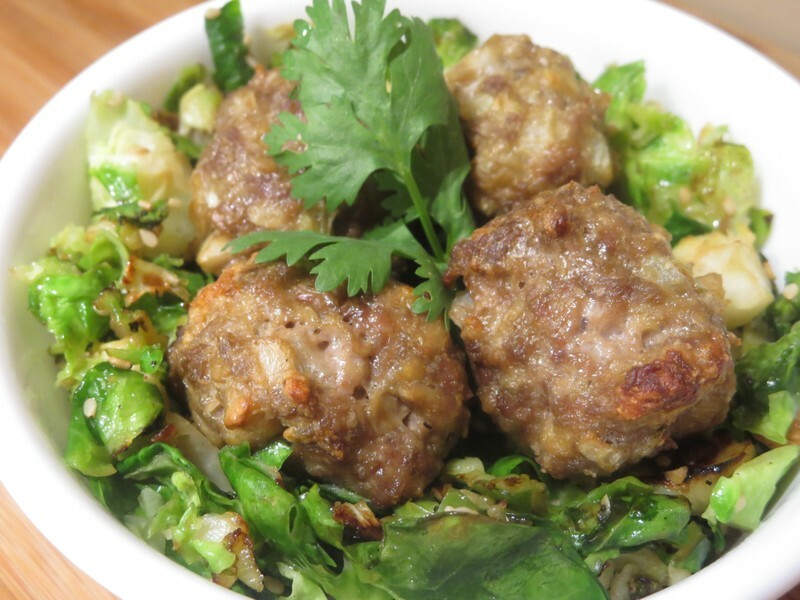 Use these meatballs with an Italian dish such as spaghetti using spaghetti squash for the noodles or make a gravy and serve over a baked sweet potato. Pictured below you will find that I made a sautéed, shredded Brussels sprouts bowel with this batch.